Socket Covers are 1" O.D. x 13/16" I.D. & DO NOT have wire-way. 1" O.D. x 13/16" I.D. 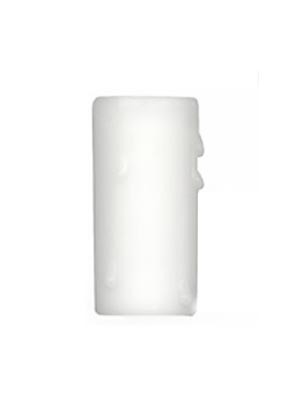 White Dripping Candle Socket Cover. Beeswax cover includes realistic drips. Fits over candelabra sockets. Handmade 2"H. Durable Plastic liner. 1" O.D. x 13/16" I.D. Max. bulb recommended is 25 Watts. 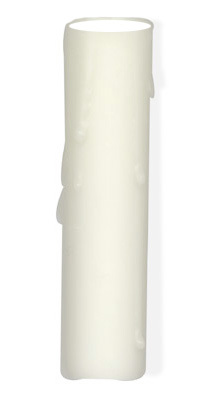 Ivory Dripping Candle Socket Cover. Beeswax cover includes realistic drips. Fits over candelabra sockets. 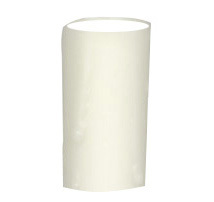 Handmade 2"H. Durable Plastic liner. 1" O.D. x 13/16" I.D. Max. bulb recommended is 25 Watts. 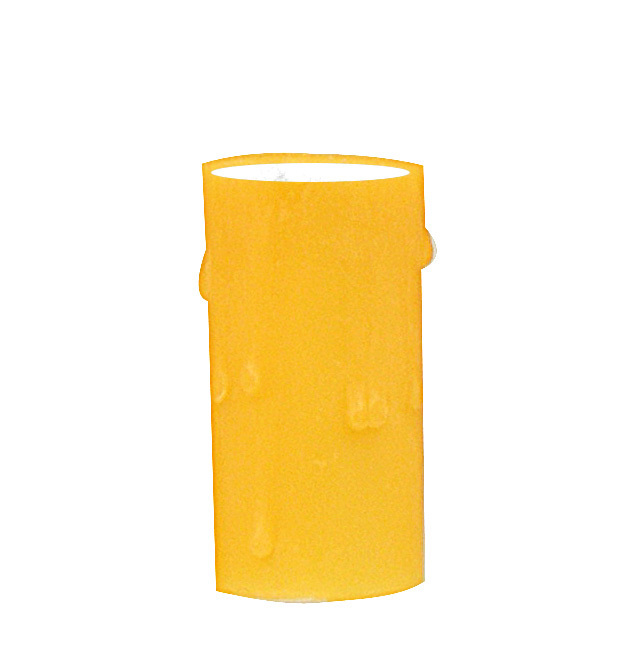 Honey Gold Dripping Candle Socket Cover. Beeswax cover includes realistic drips. Fits over candelabra sockets. Handmade 2"H. Durable Plastic liner. 1" O.D. x 13/16" I.D. Max. bulb recommended is 25 Watts. 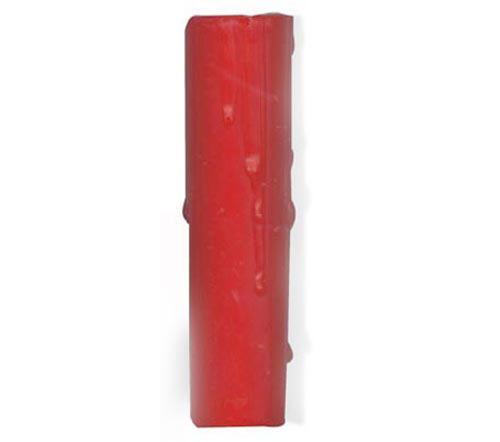 Red Dripping Candle Socket Cover. Beeswax cover includes realistic drips. Fits over candelabra sockets. Handmade 2"H. Durable Plastic liner. 1" O.D. x 13/16" I.D. Max. bulb recommended is 25 Watts. 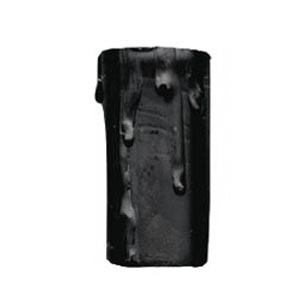 Black Dripping Candle Socket Cover. Beeswax cover includes realistic drips. Fits over candelabra sockets. Handmade 2"H. Durable Plastic liner. 1" O.D. x 13/16" I.D. Max. bulb recommended is 25 Watts. 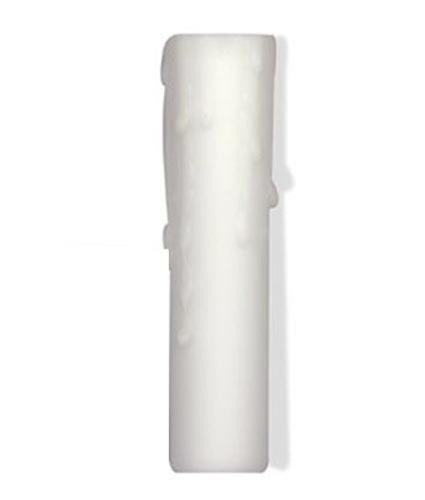 White Dripping Candle Socket Cover. Beeswax cover includes realistic drips. Fits over candelabra sockets. Handmade 4"H. Durable Plastic liner. 1" O.D. x 13/16" I.D. Max. bulb recommended is 25 Watts. 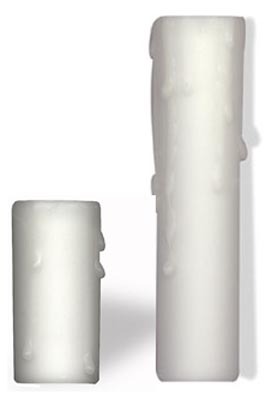 Ivory Dripping Candle Socket Cover. Beeswax cover includes realistic drips. Fits over candelabra sockets. Handmade 4"H. Durable Plastic liner. 1" O.D. x 13/16" I.D. Max. bulb recommended is 25 Watts. 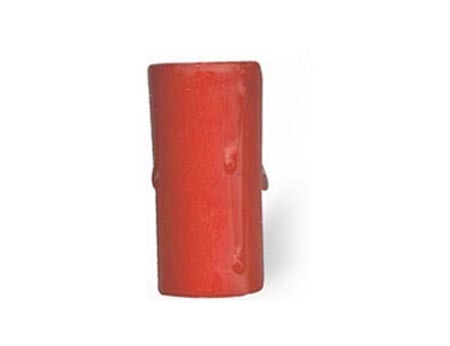 Red Dripping Candle Socket Cover. Beeswax cover includes realistic drips. Fits over candelabra sockets. Handmade 4"H. Durable Plastic liner. 1" O.D. x 13/16" I.D. Max. bulb recommended is 25 Watts. 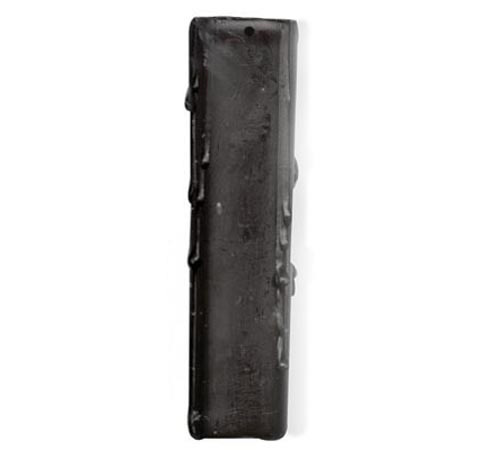 Black Dripping Candle Socket Cover. Beeswax cover includes realistic drips. Fits over candelabra sockets. Handmade 4"H. Durable Plastic liner. 1" O.D. x 13/16" I.D. Max. bulb recommended is 25 Watts. and SLEEVES as well as Candelabra Base SOCKETS and Flame Style Light Bulbs.